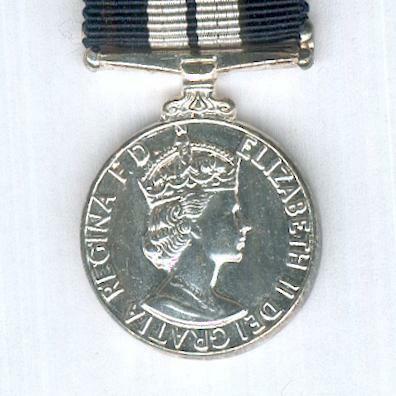 Miniature circular silvered medal with scroll and fixed ribbon bar suspension; the face with the Tudor-crowned head of Queen Elizabeth II facing right, circumscribed ‘ELIZABETH II DEI GRATIA REGINA F.D. 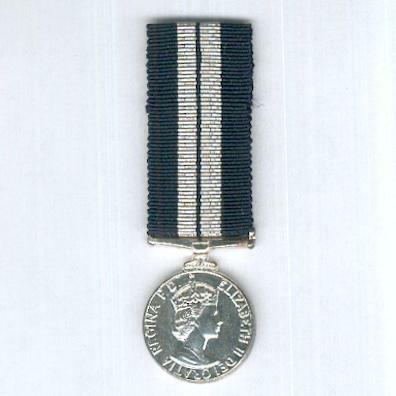 (Elizabeth II by the Grace of God Queen Defender of the Faith); the reverse inscribed ‘FOR DISTINGUISHED SERVICE’ below a crown and within a laurel wreath; diameter 18.81mm (0.74 inch); on original ribbon. 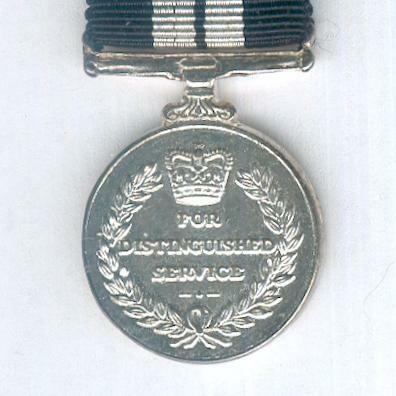 The Medal was instituted on 14 October 1914 to be awarded to members of the Royal Navy and Royal Marines of the rank of Chief Petty Officer and below who ‘set an example of bravery and resource under fire’. 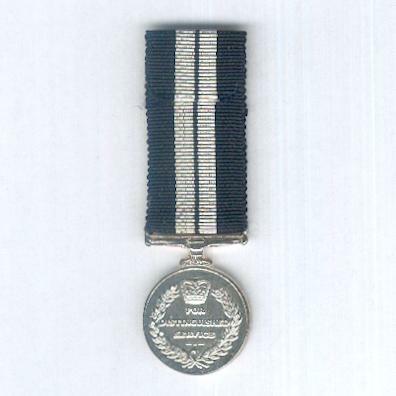 Since 1993, other ranks may be awarded the Distinguished Service Cross, formerly reserved for officers, and the Medal is discontinued. This example is from the reign of Elizabeth II after the change of wording to the face in 1954.